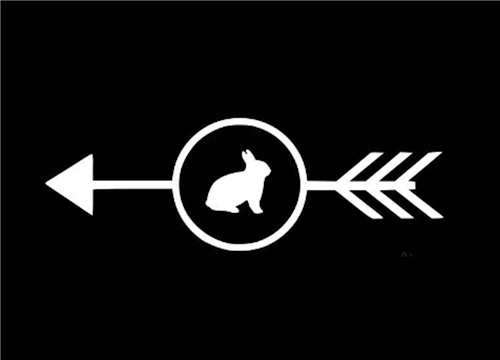 Bunny with Arrow decal/sticker works perfect on cars, notebooks or wherever you want to put it! Sticker is white on a clear background. Dimensions: 6" x 2"